We are not responsible for the Google translations. For example, translations into Finnish are many times very poor, sometimes the meaning can even be reversed of what was originally meant. 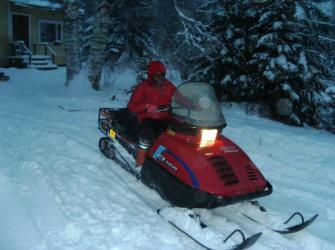 Holiday-in-Lapland makes it easy. Let's go Arctic. Holiday-in-Lapland.com and the municipality of Ranua offer a chance to enjoy a unique type of holiday. We hope our small Dutch-Ghanaian family will make renting your cabin an easy and enjoyable experience. We offer a friendly, personal service and genuinely want you to have a relaxing and inspiring holiday in Finland. We speak English, Dutch, French, German, Finnish and Twi. We are more than happy to book your accommodation. These pages also try to help you travelling in Finland. 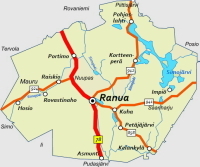 Being close to the Arctic Circle and Rovaniemi, Ranua is the gateway to Lapland. The countryside around Ranua with its wide primeval forests and marshlands offers a wide range of opportunities for outdoor activities like salmon fly fishing, canoeing, berry and mushroom picking, birdwatching, hunting, and in winter crosscountry skiing, ice fishing, dog or reindeer safaris, and Northern Lights watching. Ranua is very famous for The Golden Cloudberry Festival and cloudberries, but Lapland's leading tourist attraction for families throughout the year is Ranua Wildlife Park with the polar bears and the musk oxes etc. 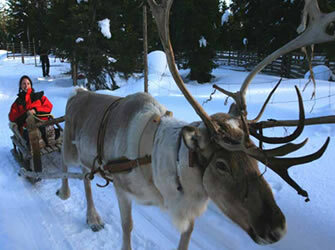 Horse-riding and coach rides, dog sledging and reindeer rides are all possible there. 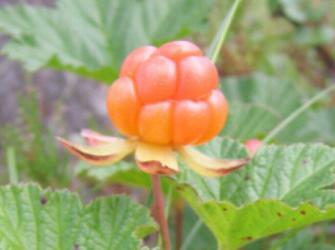 You can buy souveniers, Fazer candies and local wines made of wild berries. But this is only the tip of the iceberg. You can do many other things here in Ranua. 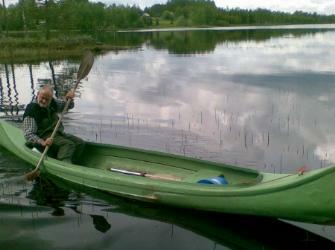 In Simojärvi, there is the Japanese house, which is an exotic cultural experience in the middle of the Lappish nature. Events, temporary exhibitions, a coffee shop and limited accommodation can all be found in the Japanese house. By checking our Activities and Links pages, you will find a great variety of different possibilities. Holiday-in-Lapland.com cooperates with Wild Nordic, which was formerly part of the National Board of Forestry, Metsähallitus. Nowadays the owner is Lomarengas. Wild Nordic offers our online services. The logcabin Peurakangasranta is located on the shore of Ranuanjärvi, Lake Ranua, near the village of Ranua. The distance is approximately 6 kilometers. 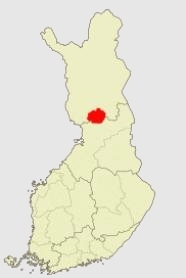 Lohiniitty is located on the shore of the salmon river, Simojoki (32 km to Ranua), which is also one of our prides together with lake Simojärvi. Our "headquarter", Samurai Salmon, is also located near Lohiniitty. Teboil, the petrol station in Ranua, is the place where the cabin keys can be received and returned. This page was last modified on 27/04/2014 at 13:05.